Dutch HYBRID male, medium early. 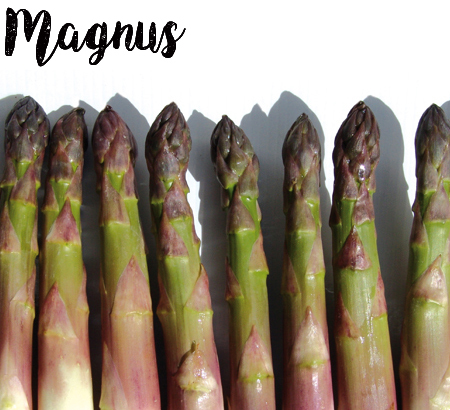 In areas in which winter is not too hard Magnus is suitable both for production of green or white asparagus. Its shows high productivity and it has large and smooth SPEARS, well closed tips and excellent taste. The plant has a high tolerance to rust and low susceptibility to Botrytis and Stemphylium.